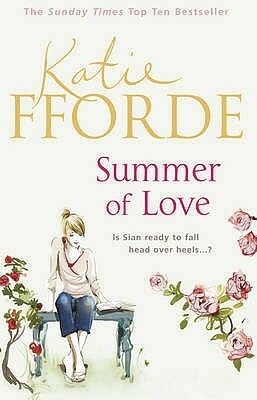 The Summer of Love by Katie Fforde – It's Time to Read! This was the perfect book to ease me into the Christmas break. It was light-hearted chick-lit which ticked all the right boxes for me. We saw confusion, heartache, family love, friendship and romantic love. Sian has moved to the beautiful English countryside with her son Rory – the result of one night of passion. In her new home, she makes new friends, including Fiona, an older lady who takes Sian under her wing, and begins work on her furniture-restoration building. No one knows who Rory’s father is, as after their one night together he left to go travelling. Fiona’s son Angus has returned home and is everything Sian is not looking for in a man – but he will he melt her heart and win Rory’s? And will the identity of Rory’s father come out too? I found this book just flowed. Once I started reading it, I didn’t want to put it down. I liked Sian. I liked her attitude towards life – she knew she had to love and support Rory, so that is what she did. Rory was a sweet child, which made him easy to like reading the book. I probably would have been put off the story if he had been a grumpy, moany little boy. My favourite character by far was Fiona! I laughed at some of the situations she ended up in – such as going on a date with a man she had met online, only to be taken to some deserted plant nursery where she thought she might die! As always, there were characters I didn’t like too. People like Melissa, who saw Sian as an imposter or thought she was competition when it came to Angus, so she did things like persuade Sian’s landlady to sell the cottage Sian and Rory were living in to her. This book did have comedy in, as well as love and friendship. The book didn’t take me by surprise. I quickly worked out who Rory’s father was, and I enjoyed watching that unfold – even though it wasn’t always pleasant for any party involved. The description of the village Sian had moved to sounded beautiful and I enjoyed being taken there whenever I opened the book. This was an easy read, but enjoyable and one I would recommend if you are looking for a heart-warming romance to read.